NEXX Helmets has a good lineup of helmets for 2019 that will appeal to riders of all sorts from touring riders to racers. The collection is mostly full-face lids with one modular design. In a press release, the company said all of its helmets are pursuing the “wow” factor, whatever that means. NEXX Helmets went on to talk about “magical-filled products.” All I know is that the company generally produces good helmets, so I thought it worth it to showcase the helmets and take a quick look at some of their features. Here’s the lineup. The X.Vilitur is the lone modular design. It’s actually homologated as a full-face and modular and is DOT and ECE certified. 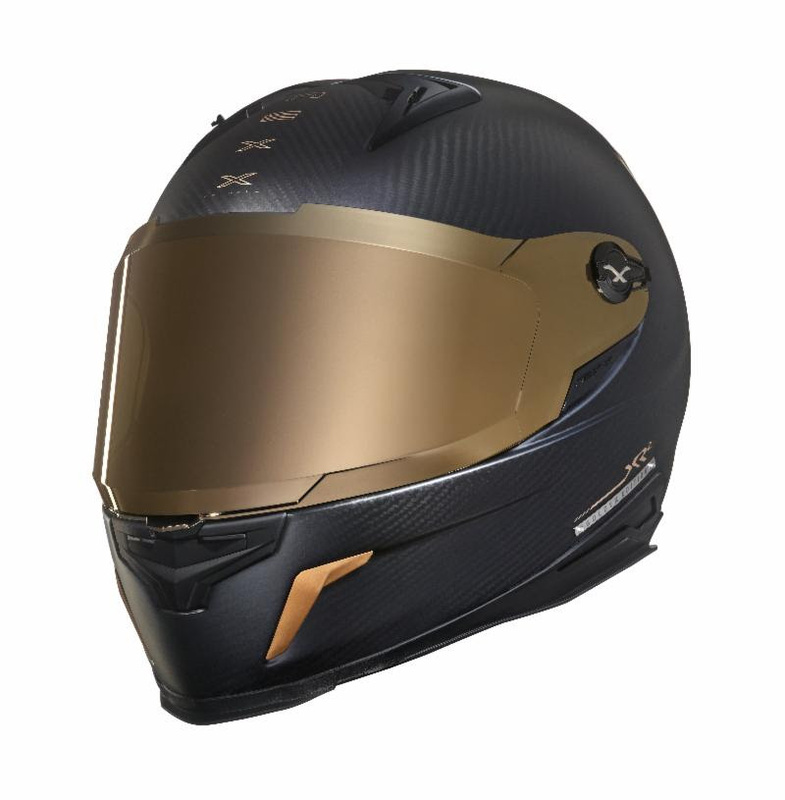 The helmet comes with a retractable sun visor, removable cheek and neckroll piece that should seal out noise, Class 1 rated anti-fog exterior shield, brackets for an action camera, ready for X-Com 2 communication system, and features NEXX Air-Dynamic System with chin and brow intake vents and dual exhaust vents. The price starts at $499.95. NEXX’s X.Wed 2 is designed for the adventure rider and comes DOT approved. It has a PC Lexan shield that’s Pinlock ready, a drop down sun visor, NEXX’s Ergo Padding System on the inside, an adjustable peak that’s peak-extender ready, prepped for the X-Com communication system, action camera mounts, and three intake vents and four exhaust vents. It starts at $479.95. The X.R2 takes what the X.R1 started to a whole new level. 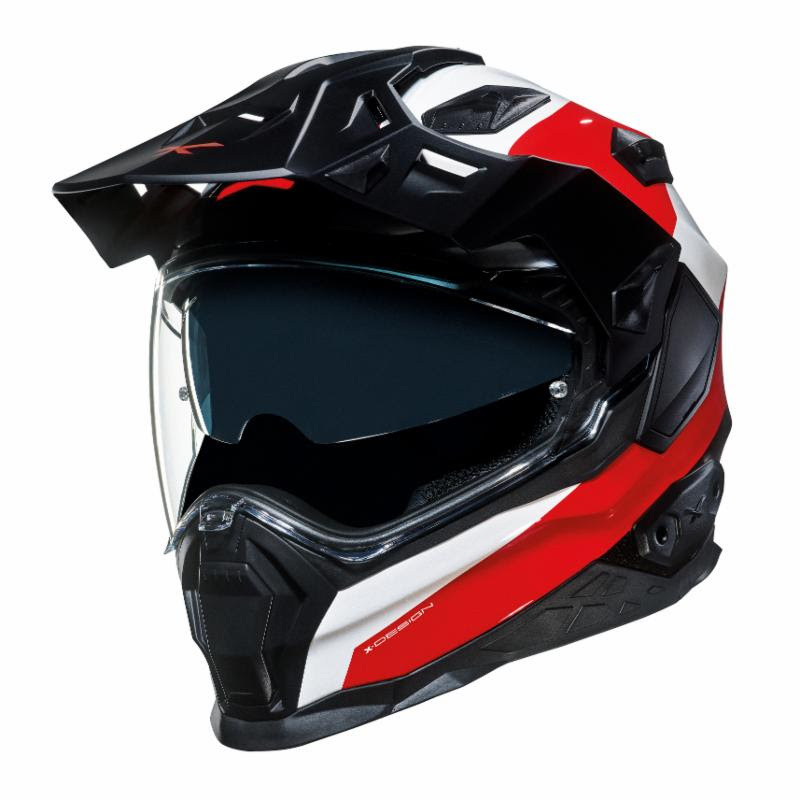 The helmet is both DOT and ECE approved and features an anti-scratch PC Lexan shield that works with both Pinlocks and tear-offs. The cheek pads, chin curtain, and neck roll are all removable and should help eliminate a lot of noise. 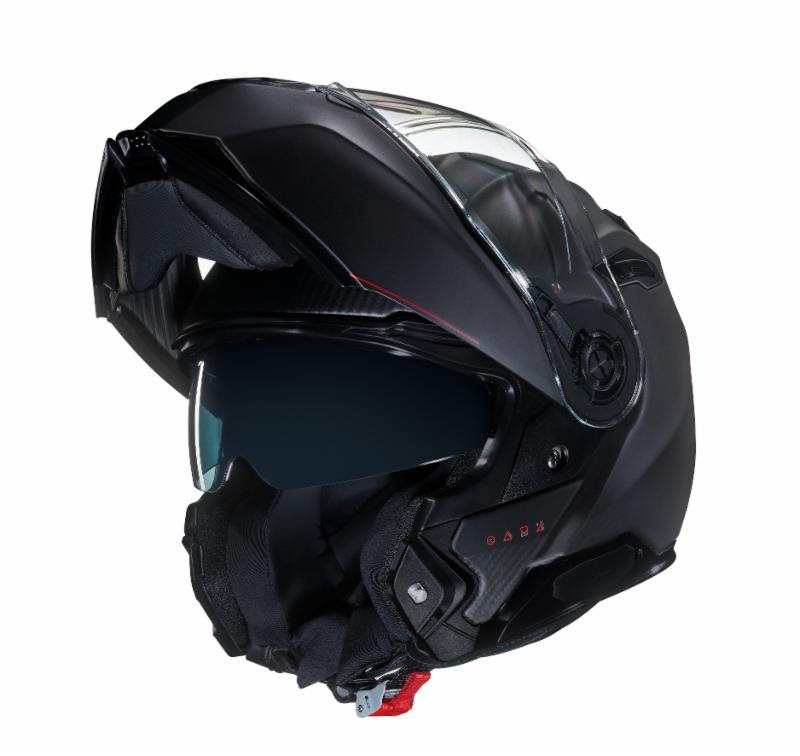 It has antiallergenic and moisture-wicking fabric in the interior of the helmet that should help keep it comfy. It gets two intake vents and four exhaust vents. The helmet starts at $549.95. 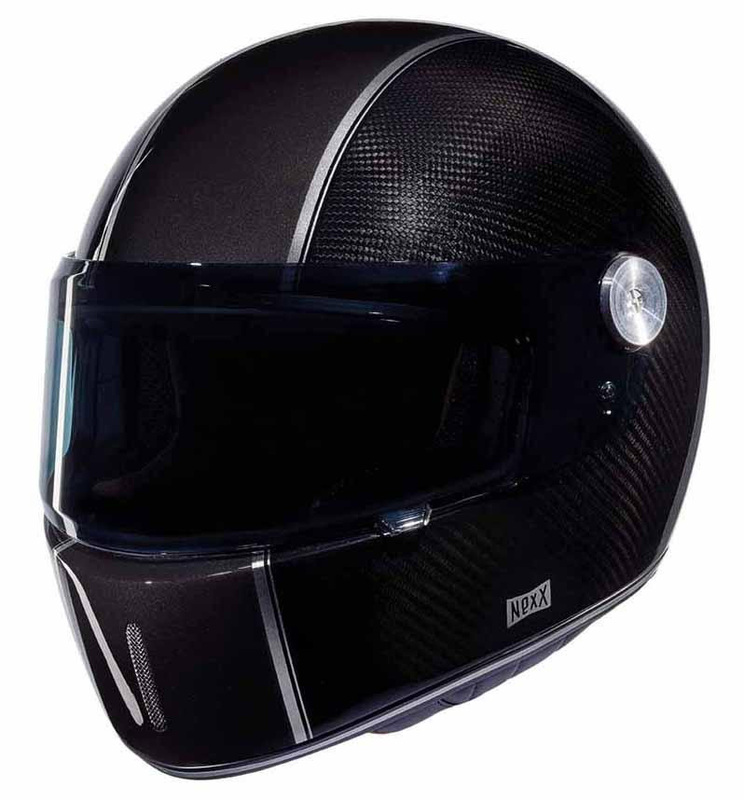 The X.G100 R brings retro style to a modern helmet. It’s an aesthetic that a lot of helmet manufacturers are going for right now. The X.G100 R looks like one of the better ones out there. The helmet has the same shell type as the X.VILITUR and features what NEXX calls a Rotative Clear Shield. The helmet also comes with the company’s Ergo Padding System, antiallergenic and moisture-wicking removable fabric liner, and a removable chin curtain. A carbon fiber option is available, too. The non-carbon version starts at $385.95. A sporty street of the X.Wed 2, the X.WST 2 is an adventure helmet in street clothes. It gets a PC Lexan shield that’s Pinlock ready, Nexx’s Ergo Padding System, antiallergenic and moisture-wicking fabric, ready for the X-Comm communication system, and a drop down sun visor. A carbon version is available. The non-carbon version starts at $399.95. 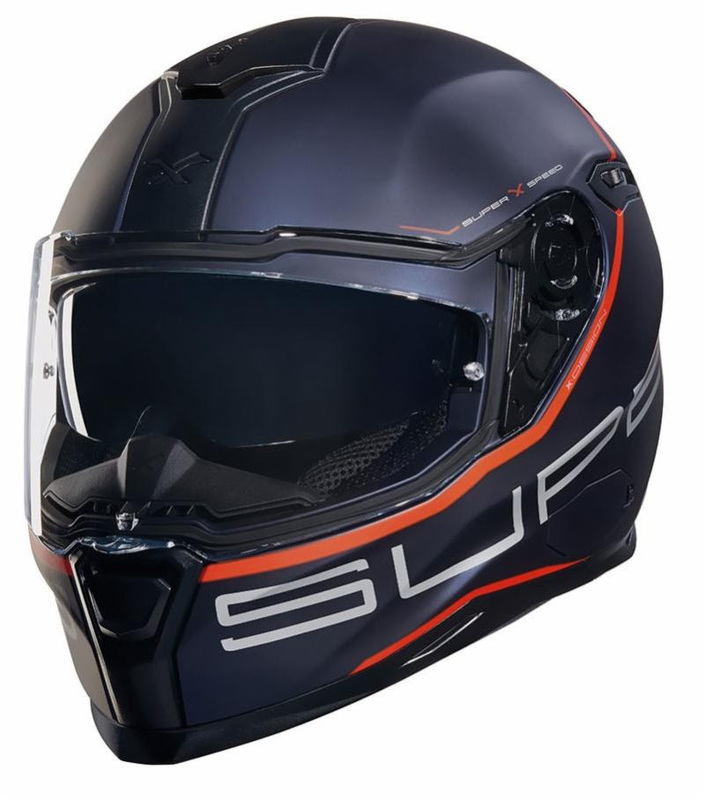 A stylish but not overly flashy street helmet option is the SX.100. It comes to DOT and ECE approved and has a PC Lexan shield that’s Pinlock ready. 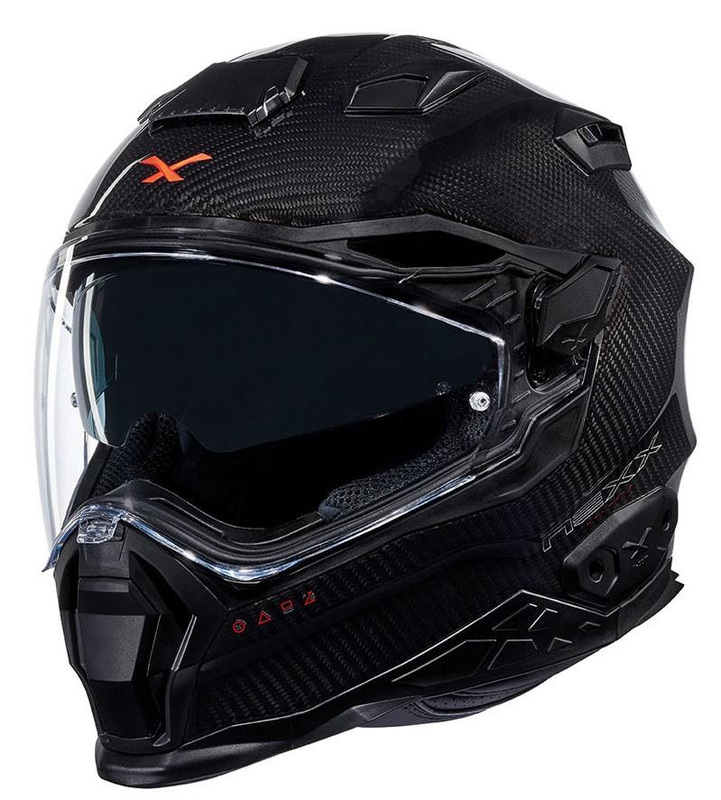 It features removable 3D-formatted padding, drop-down sun visor, a couple of intake vents and exhaust vents, removable neck roll and chin curtain, cheek pads that should block out noise, X-Comm communication system ready, and a removable breath guard. Pricing starts at $229.95. The post NEXX Announces 2019 Helmet Lineup appeared first on Web Bike World.